The content on this site has now been copied to my new main site at http://tonyrockliff.com and all future updates will be occurring there. “Arrangement” refers to which instruments are used in a recording or performance of a song and what and where they play. The instruments chosen provide the colors, the textures, the atmosphere and the visual backdrop for the song that help paint the picture that the song lyric and melody is trying to communicate. How you build the song arrangement is a crucial element. 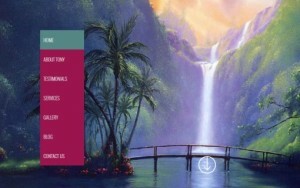 With so many instruments and sounds available, the arranger has a huge palette of colors to choose from. As a producer I get to hear a lot of artist CDs and over the years I’ve noticed a few areas where people often fall down when doing music arranging on songs or records. 1) they or their arranger do beautiful counterpoint arrangements that unfortunately end up distracting from the lead vocal, especially if introduced too soon. 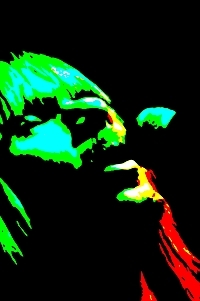 The listener’s attention should be primarily on the lead vocal – especially during the first verse where they are being introduced to the song and its message. Any counterpoint arrangement should be there to enhance and emphasis the lead vocal but never to distract from it. The listener should be aware of the arrangement but never to the point of losing the lead vocal and its message and on 2nd listen they often hear more clearly and appreciate the counterpoint arrangement. So it should never be too busy, especially in the first part of the song. 2) the arrangement should build as the song progresses. This is why string parts often come in on the 2nd verse (or sometimes the 1st chorus) to add the textural and dramatic build at that point. There must be somewhere to build to and if you introduce the whole arrangement all at once you lose that opportunity. 3) the person doing the music arrangement should use what is variously called “light and shade”, “ebbs and flows”, “peaks and valleys” or “reach and withdraw” etc.. This refers to the spaces between where the instruments play and don’t play. All too often I hear records where all the instruments come in all at once at the beginning of the song and stay in until the end with no respite for the listener. In a typical pop song, the verse is often the valley and the chorus is often the peak but each can have peaks and valleys within them too. 4) another very useful arrangement tool is the use of unexpected instruments not usually associated with the genre you are arranging for. This makes for much more interesting arrangements that stand out from the crowd. I had the good fortune to work with George Martin and he was a true master at this especially with his work with the Beatles. So when writing your arrangement parts be very aware of what the lead vocal is doing and ensure that you don’t distract the listener’s attention away from it but write parts that enable them to hear and enjoy both at the same time. And be aware of using light and shade and ensuring that your arrangement builds and look at how you can add interest by surprising the listener with an unusual choice of instrument or even an unusual arrangement for the particular genre that you are arranging for. Like any rules, these can also be creatively broken to sometimes great effect but when breaking rules it’s always helpful to be familiar with the rules you are breaking so that you have some degree of causative control over them. There are other rules but these above are the primary areas where people fall down in their music arranging for records or performances. What are some others that you’ve heard? So what exactly is record production? Record production is a skilled craft that ideally should include a working knowledge of music, engineering, writing, diplomacy, organizing, budgeting, and sometimes marketing. There are basically two types of record producer. One strives to capture on tape or hard drive the energy, the life, communication, intention and vision of an artist or band as they are with little change other than to enhance their sound or effect (often considerably). The other type of producer goes into a studio to deliberately create something out of nothing — to paint a picture using the colors and textures of sound. He might be using a sound or a rhythm or a concept to build on in layers of sound and there may not even be an artist as such on such projects. 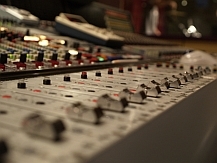 With the advent of MIDI, computers, samplers and beats, production roles have been expanded and these days often a lot of recording is done in the control-room by the producer by himself or with one or two other people and there is as a result the combination of the two types of producer described above. In movies the producer is the guy who puts up the money, and the director is responsible for the creative decisions. 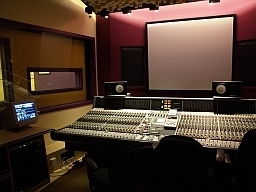 In recording, the producer primarily plays a role similar to that of a director in a movie. Very seldom does the record producer put up the money. Most often he is commissioned and paid to do the producing as it is a highly skilled art that can make all the difference between rejection or acceptance of the artist’s project. When he is using someone else’s money as in when he has been hired by a record company, he also has to make the record within the established budget and ensure all the participants get paid. How much a record producer does depends on his skills and how much he creates. There are some other functions involved in making a record that a producer may or may not do. There is the job of the recording engineer, which is basically to translate the producers’ and artists’ ideas into real sounds utilizing his knowledge of the studio’s equipment. There is also the job of the arranger, which is to decide how the tune is to be recorded musically – in other words, what rhythms to use, what instruments to use, and what and where they should and shouldn’t play. There are many producers around today who combine many of these functions and often play instruments themselves. By engineering and arranging themselves, they avoid having to explain to someone else what’s in their mind hoping that the person can duplicate and translate it. Since a good producer is often also an artist himself, having someone else do these functions can sometimes be a little akin to a painter having someone else do the brushwork while the painter tells him what and where to paint. Basically, the sequence of production goes like this: The producer chooses a song that he feels he can make a good record of. He advises on the structure and length of the song, gets any sections that need re-writes rewritten, and works out what instruments and musicians to use, and what and where they should play. Re-writes are done where a section of a song doesn’t quite communicate strongly enough for maximum impact. Musicians are chosen for their “feel” (how well they communicate emotions and energy musically), how tight they are (how well they play in time) and optimally, how they are as people (how much fun they are to work with). The more studio experience they’ve had the better, as they will usually have good sounding instruments and be familiar with studio recording requirements. The producer chooses and books the studio, the musicians, and any instruments or effects units he needs. He gets chord sheets, song structure sheets and lyric sheets prepared, and he prepares a track plan. Sometimes he will set up a rehearsal with the musicians before the session, and he also arranges for all the necessary people to arrive at the session at the correct times. He ensures that, for instance, the violin section doesn’t arrive at the same time as the rhythm section and have to wait around for three hours. After the recordings are complete, he either mixes or supervises the mix of the songs as well as the mastering. After he has done the mix, he ensures that the copies are of the best possible quality and also supervises the cutting of the master to ensure quality control all the way down the line. 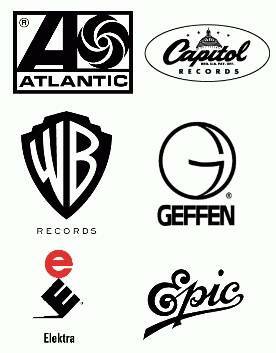 Producers in some cases also do the marketing of the record to record companies and sometimes negotiate contracts. In the studio he is the overall-in-charge but he should remember that usually he is working for the artist and should work closely with the artist to ensure that he is communicating and enhancing the artist’s intention and vision. Conversely, the artist should be willing to listen to the producer’s voice of experience and his suggestions, even if he chooses not to use them. It is a team effort. The producer is the manager of all the people who are involved in the making of a record. He has the final say on all matters of artistry, performance, songs, sounds and all matters technical. He either describes to the engineer the sounds he wants or gets them himself. At the session he keeps up the participants’ morale and handles anything that comes up with good control (hopefully). He should keep good technical, organizational and performance notes and ensure that people at the session are behaving appropriately and professionally, while having a lot of creative fun. It is very important that he keeps an exterior eye on the whole recording process because the musicians will have their attention on their contribution and the engineer on his, and very often only the producer will know the overall picture that he is working towards. He is blending the colors and textures and dynamics of the sounds into a specific sound picture, and sometimes someone at the session, not seeing the picture the producer is working towards, will suggest something that will in effect be like suggesting to a painter who is painting a picture of a green field that he paint in a puce cement mixer, so be has to keep his end-product firmly in mind in order to not be swayed off his original intention. A good producer knows it is optimum to have it sounding right in the studio itself before it even gets to the mixing board. He also knows the big differences between recording music, making records and making records that sell, as these all involve very distinct skill sets. If he is making a single for radio play, he knows what an important part sound alone plays. “The listeners of radio stations and the buyers of singles are of the same average age …about 13-14 years old. For the most part, the records which appeal to this audience do so on their SOUND. Surveys have shown that 85% of all singles are bought on this basis. After the sound becomes familiar, the record stands a better chance for success if the lyrics are accessible.” Songwriter Magazine. A good producer knows what he wants and knows how to get it. He very often has the whole sound of the overall finished record already envisioned and even heard in his own mind and he goes into the studio to attempt to create it in the physical universe. He should be able to come up with brilliant ideas on the fly and know when something is right and has “it” (magic). He has to be able to recognize the take or performance that has the emotional impact and “feel” necessary and be able to resist the temptation to go beyond that point. He has to be able to respond to a sound or a feel or an atmosphere in the session and use that as an inspiration for creating something that takes it to the next level. He should be aware of everything that is available to him technically to assist him in creating the effects he is after and be aware of potential workarounds if something doesn’t work technically or artistically. He has to be capable of instant decisions and not let himself by swayed by opinions. He has to know how to create the atmosphere that enables him to get the best performances out of the musicians and artists. He has to be able to handle problems that can come up in recording sessions. He should ideally understand the framework of the genre he’s working in so as to intelligently be able to break the rules without sacrificing good taste. In other words, he should have studied and know his market well. He should have a good degree of sensitivity, which in an artist is basically the ability to perceive minute differences and the different effects they create. This applies particularly when he is blending the sounds together as in mixing as different blends create different emotional impacts. He should also be able to tell when the musicians are overplaying (playing more than the record needs). Most importantly he has to know how to imbue the project with life energy and “magic”. To understand what I’m talking about here, listen to the difference between a Beatles record and a cover band doing a Beatles song. There is a very different amount of and quality of life involved. These days the producer has a lot more sounds available to him and should now even more understand the different effects that can be created by imaginative use of sounds and especially how to inject the magic into the finished record. A good producer can even make a mediocre song sound good. So, as you can see, the job of a producer is quite involved, and when done well can make or break a record, which is why so much attention is put on it by the recording business. What have been your experiences with producers, good or bad? When mixing a song it can help to visualize the mix as a 3D cube. EQ (bass, middle and treble) is the front face of the cube going from the bottom (bass) to the top (treble). Panning places the instruments in the space between the left front wall and the rght front wall. Volume goes from front to back with the loudest instruments at the front. Reverb primarily provides the front to back (and side to side) instrument locations (depth) within the cube. Compressors and equalizers can make an instrument seem more upfront as can short delays (long delays can make the sound seem more distant and delays can also make it seem wider depending on where they are placed). The art of mixing involves the creative placement and movement of the instruments within this 3-dimensional space. This concept is illustrated extremely well in David Gibson’s excellent book. “The Art of Mixing: A Visual Guide to Recording, Engineering, and Production”. When mixing a song it can help to visualize the mix as a 3D cube. EQ (bass, middle and treble) is the front face of the cube going from the bottom (bass) to the top (treble). Panning places the instruments in the space between the left front wall and the right front wall. Volume goes from front to back with the loudest instruments at the front. Reverb primarily provides the front to back (and side to side) instrument locations (depth) within the cube. One of the problems with long mixing sessions is that the ear very quickly becomes acclimatised to the amount of treble (high frequencies) and it is easy to succumb to the temptation to add more and more as the mixing continues. Then you listen to it later or the next day and go, "What was I thinking?". The data about about treble is also true of adding exciters which can get quite harsh and nasty if overused. Mastering is the combined science and art of taking a finished mix and tweaking it in ways that can range from adding a professional polish to really taking the mix to a whole new level. Sometimes the before and afters can be quite dramatic and what you thought sounded great before can tend to now seem somewhat flat and lifeless. As Paul White from Sound on Sound magazine put it, "What many people don't realize is just how great a difference is made to commercial records at the mastering stage. Prior to mastering, you might be surprised at just how ordinary some mixes sound. " The main mastering tools are compression, EQ and limiting and because of this there is something that you need to be very aware of when mastering and that is that these tools will raise the overall apparent volume of the mix and this alone can make the mix suddenly "sound better". It is important to be able to switch effects in and out in such a way that you don't get fooled by this artificial improvement caused just by raising the volume. There are many ways to record vocals but there are two major ways, each of which have their proponents. 1) is to record the vocal track(s) and then go back and have the snger punch in to try and fix any areas where the pitch or the feeling or the timing is off. 2) called comping, is to have the singer record half a dozen takes, one after the other, and then listen to each track and choose the great sections from each track and combine them into the final composited master vocal track. With 1) it can be hard on the singer because he/she has to have more attention on getting it perfect plus when punching in it’s sometimes hard to get a good continuity of feeling. With 2) there’s more work involved with comping, especially for the producer and engineer but usually a more relaxed (in a good way) vocal with more continuity of feeling. I personally often like the comping approach but different producers, singers and engineers have varying views on this. What about you – which do you prefer? 1) It’s been found that the optimum number of posts per day on your fan or business page is 1 to 2 and literally that more than that (i.e. 3) drops user engagement (likes, comments) by up to 40%. So don’t cross-post your Twitter posts as it will take you over the optimum 1-2). 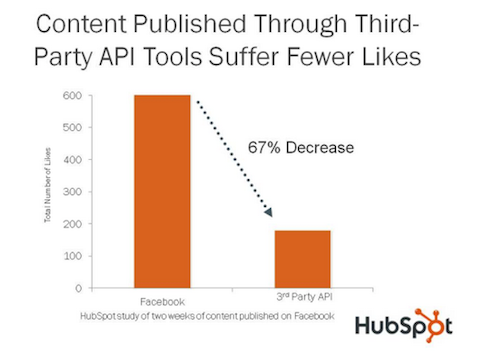 2) According to Hubspot, using an automated tool like Hootsuite to create content for Facebook future auto-publishing drops user engagement by 67%! Fortunately, Facebook has added their own option to publish ahead of time. 3) Many people think that all their fans see their posts but Facebook’s Edgerank algorithm makes it actually around 15-20%. Its based on those you’ve interacted most with and the amount of engagement your posts have received (less than 6% of fans typically engage via likes, comments etc.). 4) Of that 15-20%, after 2-3 hours your post no longer shows up in their feeds. 5) Facebook is making it harder and harder for you to effectively engage with fans – unless you pay them. 6) However, some tests have shown that an investment of only $15 in their “Promoted Posts” option can result in 10 times more fans seeing the post. 7) Use Promoted Posts for posts that you feel will get strong engagement – for instance, posts with photos or images get far more sharing (89%) than those with videos or just links (both 4%). As someone who spent decades in the old and dying music business, I can attest to the soul-destroying horrors that most artists experience there. Only a tiny percentage of those signed actually make any money and they subsidize the thousands who only end up owing the record company money and selling their souls in the process. If the record company spends a couple of million dollars recording and promoting you and you only get paid a few percent of record sales royalties, how many records do you think you have to sell before you see a dime? With less and less people buying CDs these days, it’s a lot! And when was the last time you saw a record store? But the worst thing as far as I am concerned is that so often corporate committees who only care about money decide what you should record, who you should work with, how you should look etc. In other words, you’re forced to violate your integrity as an artist daily. No fun! How is the music business dying? Well record industry veterans are getting laid off left and right and CD sales continue to drop. And most music industry people are at a loss when it comes to knowing how to use the Internet to properly promote a band. A friend of mine had 5 number one records in England and made a total of $5,000. When he left his label and promoted his album on the Internet he sold 4,000 copies (which would have made him zero if he’d sold that few with a record label), but he pocketed $60,000 from those 4,000 sales by being his own label. Sending emails to their mailing list only or mainly when they want to sell something or get people to a gig or other event. Here's the bottom line on this - and I can't stress this enough - your email list is your most valuable asset. It's long been observed that the size of your mailing list and the number of mailings to it majorly determines your income. What too many don't know is that in the current marketplace the nurturing of the list is now the key factor that realizes that income. And that doing 1) above badly misuses and dramatically weakens the potential value of that list.